Größe dieser Vorschau: 800 × 533 Pixel. Weitere Auflösungen: 320 × 213 Pixel | 640 × 427 Pixel | 1.024 × 683 Pixel | 1.280 × 853 Pixel | 7.200 × 4.800 Pixel. 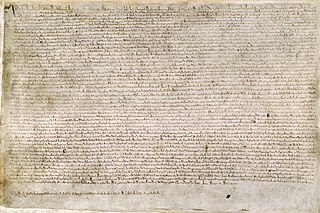 English: The Magna Carta (originally known as the Charter of Liberties) of 1215, written in iron gall ink on parchment in medieval Latin, using standard abbreviations of the period, authenticated with the Great Seal of King John. The original wax seal was lost over the centuries. 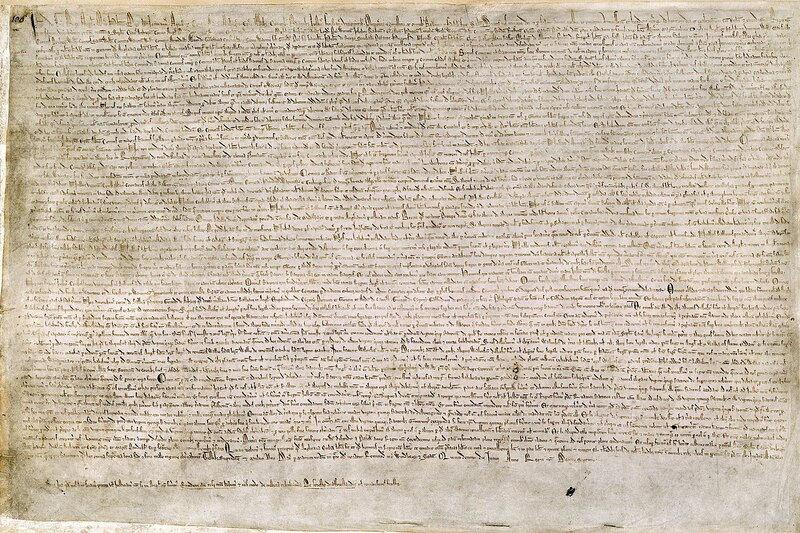 This document is held at the British Library and is identified as "British Library Cotton MS Augustus II.106". Datum One of four known surviving 1215 exemplars of Magna Carta. Urheber Original authors were the barons and King John of England. Uploaded by Earthsound. Embroidered version of image, from Magna Carta (An Embroidery) (2015). aktuell 09:30, 8. Mär. 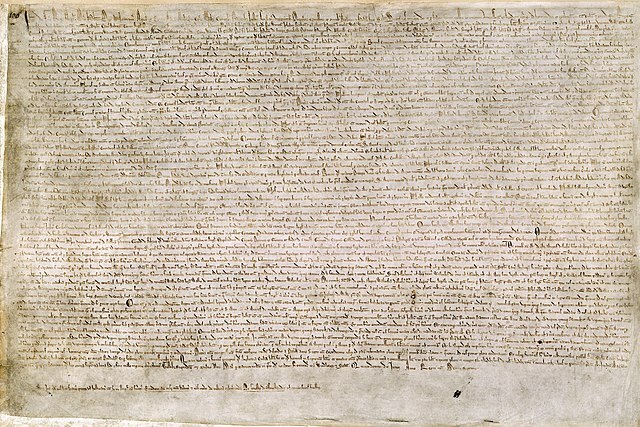 2010 7.200 × 4.800 (5,97 MB) Earthsound higher resolution, and this is the original 1215 version of the Magna Carta, not the 1225 (as was originally uploaded) or the 1297 (the last version uploaded).